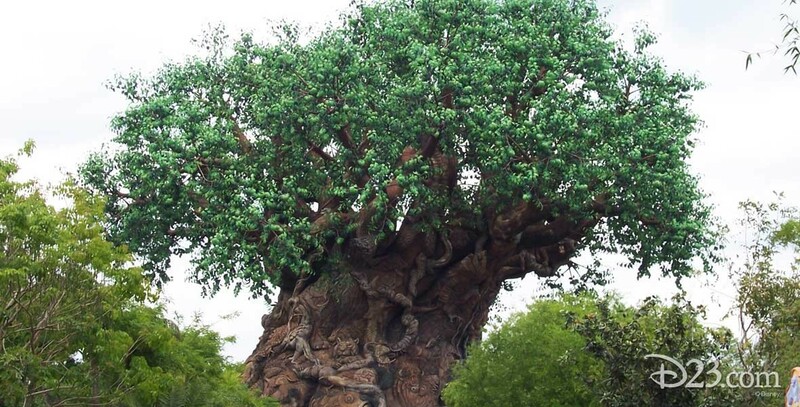 Tree of Life Located in Safari Village at the hub of Disney’s Animal Kingdom at Walt Disney World, the tree towers 14 stories above the landscape and is 50 feet wide and sprawls to 170 feet in diameter at its base. The trunk of the tree is intricately carved with a swirling tapestry of animal forms that symbolize the richness and diversity of animal life on Earth. Inside, guests experience a 3-D adventure about insects, entitled It’s Tough to Be a Bug.